The least expensive Broadwell-E processor still packs a punch…and a hefty price tag. Intel has this somewhat strange feeling separation of 'mainstream' and 'enthusiast' platforms, with a release cadence and model names that are sure to confuse the uninitiated. Take the Core i7-6700K, a "6th Generation Intel Core" part that launched last year, codenamed Skylake; that's not too confusing, though without searching out performance charts you can't really tell how fast the part is just by its name. Now compare that with the Core i7-6800K. You might assume that this is also a 6th Gen part, but it's actually 5th Gen Broadwell-E. And which part is faster depends on what you're actually doing. We've already covered all of the major points of interest for Broadwell-E in our monolithic review, but today we're going to provide the executive summary, focusing on the 'budget' entrant for Broadwell-E, the 6-core i7-6800K. We'll include a few charts highlighting the overall performance picture, but if you want additional low-level details we'll refer you back to the earlier article. The Core i7-6800K is the spiritual successor to the Core i7-5820K. Both have six CPU cores with Hyper-Threading (SMT allows two threads per core), and both come with 28 PCIe Gen3 lanes. The main updates with Broadwell-E involve slightly higher clock speeds on the 6800K and the move to a 14nm process, with some minor improvements in architecture that boost performance a few percent. And if you want the i7-6800K instead of the i7-5820K, you're looking at around a $50 price premium. Unfortunately, I don't have a 5820K for testing, but in practice there's not a huge difference between it and the more expensive i7-5930K. You get 28 PCIe lanes instead of 40 lanes, along with slightly lower (by 100-200MHz) clocks. The PCIe lanes might sound like a pretty big deficit, but in practice it only really matters if you want to run more than three GPUs, and then only with Nvidia (since AMD allows CrossFire with x4 connections). You can still do 3-way SLI (three x8 connections), and x8 vs. x16 hasn't typically been an issue in performance—the bigger problem has always been getting good 3-way scaling. Now that Nvidia is recommending only 2-way SLI for the GTX 1080/1070, though, the need for 40 PCIe lanes has become even more limited. Even with dual GPUs and an M.2 SSD, you could still get by with 20 lanes; adding 10GbE and a second PCIe SSD might present an issue, though. All the Broadwell-E consumer parts are multiplier unlocked, which means overclocking is relatively simple—just add a decent cooler, bump up the multiplier, and you're all set. There's more flexibility than that if you really want to tweak for the final 1-2 percent performance, but other than bragging rights and setting overclocking records there's no real need for that. Our test 6800K was good for 4.4GHz, but only at a rather high 1.40V. But the question you're probably most interested in is, how does the i7-6800K compare to the competition? Here are a few charts, showing stock and overclocked performance for our current collection of CPUs, with the 6800K highlighted. These are the overall charts showing average (geometric mean, technically, so that all results carry equal weight) performance across nine CPU benchmarks and eight games, along with system power use while gaming; if you want to see the individual charts for all the tests, I again refer you to our monolithic Broadwell-E review. Starting with stock performance, for gaming the difference between the fastest modern Intel processor and the slowest Intel part we've tested is ten percent. In other words, you could build a gaming rig with the fastest consumer graphics card, the GTX 1080 (we'll leave out the non-consumer Titan X), and at most you're losing ten percent by running with an i5-6400 compared to the i7-6700K. But that also brings up another interesting point: All of the Broadwell-E and Haswell-E systems are actually slightly slower in overall gaming performance than the i7-6700K, and even the i5-6600K. For gaming, there's really little need to move to Intel's 'enthusiast' X99 platform. Flip over to CPU intensive workloads like video editing or 3D modeling and we have a completely different story. Now, Intel's new i7-6800K is just a hair faster than the previous generation Core i7-5930K while costing about $130 less. It's also ten percent faster than the i7-6700K, and 50 percent faster than the i5-6600K. But there's still one final catch…. The sample i7-6800K chip I tested might be a bit of a dud, or perhaps there's some odd interaction between the motherboard firmware and CPU, but for now it ends up being the second highest power draw of all the chips tested, just a bit ahead of AMD's power hungry FX-8370. The gaming result is a bit odd, though, considering CPU tests put the 6800K at about 20W less than the 6900K and 6950X; it appears the 6800K hits close to maximum CPU power use while gaming, where the 8-core and 10-core chips are able to save some power by not having to run all cores at maximum load. Regardless, the 6800K ends up being a bit of a power pig. Overclocking doesn't radically alter the picture—everything that can overclock gets faster but the margins remain relatively stable. For gaming workloads, overclocking also didn't improve performance all that much; the 6800K is only two percent faster than stock, mostly because the primary bottleneck at 1080p Ultra is still the graphics card. Even the gap between the fastest and slowest Intel parts tested is only slightly larger, 11 percent now instead of ten percent. This isn't to say overclocking doesn't help in other ways. Bumping from the stock 3.4-3.6GHz of the i7-6800K to a steady 4.4GHz gives us a theoretical 22-29 percent increase in performance. In practice, our CPU-centric testing improves by 22 percent overall, and the 6800K, 6850K, and 5930K are all basically tied when it comes to overclocked CPU performance. As the least expensive choice among those three, the 6800K gets an easy recommendation. Running both CPUs overclocked, the 6800K is also 20 percent faster than the 6700K, as the stock clocks are far more conservative with Broadwell-E, and it ends up being 54 percent faster than the 6600K. Overclocking does increase the power use by another 31W under load, however, and you'll definitely want a beefy cooler if you're going to overclock processors with six or more cores. But if you're after improved CPU performance, the X99 platform has a lot to offer. Given the pricing on Intel's latest enthusiast chips, Broadwell-E isn't something most people are going to be jumping to purchase. The 10-core part costs as much as a complete high-end gaming system, and the 8-core i7-6900K is still over a grand. Meanwhile there are two 6-core parts, the i7-6800K and i7-6850K, and while you might think the 6850K would have some added goodness for the extra $180, in practice the extra PCIe lanes are rarely a factor for most builds. If you're putting together a rig that will need more than the 28 PCIe lanes the 6800K offers, you're probably also looking at the 8-core or 10-core parts. At stock clocks, the 6850K ends up a scant three percent faster in CPU tasks, while in games it's basically a wash (less than a one percent difference). We'd still lean more toward skipping X99 entirely—you could either go for Skylake's i5-6600K or i7-6700K for less money, or if you're in no rush, Kaby Lake should improve performance a bit more while adding some extra features, though Kaby Lake will launch mobile first and isn't expected on desktop before early 2017. The biggest problem with the i7-6800K is that even though Broadwell-E is a bit faster than Haswell-E, in practice there's not much reason to go for the i7-6800K over the older i7-5820K. Right now at least, Broadwell-E seems to require more voltage for overclocking, and on the samples we've tested maximum clock speeds have dropped 100-200MHz. The result is a virtual tie in performance, unless you're running stock in which case Broadwell-E should be 5-10 percent faster. The reality is that further improvements to CPU performance are becoming increasingly difficult, and while there are always use cases where having more cores is advantageous, most people rarely have a need for more than four cores. Incidentally, the replacement for Broadwell-E is also on the horizon. Skylake-X is due out sometime in 2017 and will apparently use a new socket R4 (LGA2066). There will also be Kaby Lake-X parts with fewer cores for the platform, meaning potentially we'll see a bit of a coming together of Intel's mainstream and enthusiast platforms—there will still be a separation, but there might be some options priced in the $200-$250 range so potential customers can get their foot in the door with a 4-core part and later upgrade to a 10-core if they want. That platform is probably a year away, though, so much could change. So who should be looking at i7-6800K? If you're after the best gaming platform currently available, Z170 and LGA1151 win out over X99 and LGA2011-3: slightly higher gaming performance for less money. How much less? On average, a complete Z170 build with i7-6700K and a GTX 1070 will set you back around $1150, and you can knock $100 off the price by opting for the i5-6600K. For similar quality, X99 with an i7-6800K starts at $1300. But some gamers like to do more than just game, so if you're routinely doing live streaming, or perhaps some video editing, the minuscule loss in gaming performance is more than compensated for by the large jump in CPU performance. Of the four new Broadwell-E enthusiast processors, only two are really worth considering. The i7-6950X is the fastest enthusiast CPU around, with ten CPU cores backing it up, but the stratospheric pricing makes it unattainable for most mere mortals. 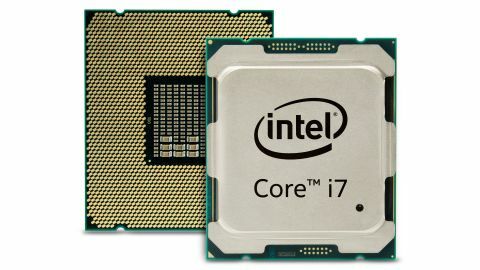 The i7-6800K ends up being the best of the new batch, with reasonable pricing and a level of performance essentially equal to the more expensive i7-6850K. It's still not the best overall CPU, particularly for gaming, but if you want more than an i7-6700K, it's the most sensible choice.